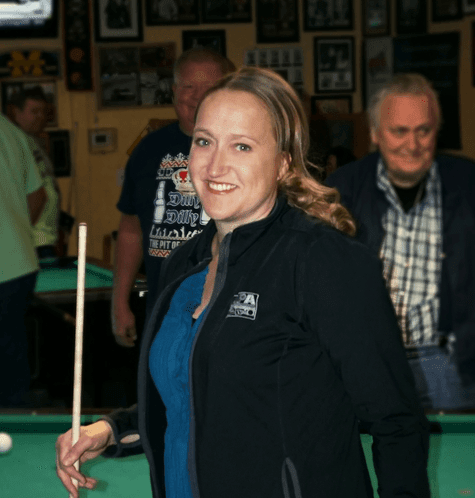 Heather and Seth Allison are the owners of American Poolplayers Association of Dayton, Nevada. They serve the Reno and Carson City areas and have been named 2018 Rockstar Franchisees by Franchise Business Review! What advice do you have for someone considering investing in a franchise? For anyone who wants to invest in a franchise, I would encourage them, if at all possible, to become a customer first. In our case, we were players in the APA League before purchasing our franchise. Our experience as players allowed us to interact with the APA brand from a customer’s point of view. This gave us a better understanding of what made membership in the APA so much fun. Also, as with any career path, choose a franchise you believe in, one that consists of responsibilities you’re going to enjoy. Talk to other franchisees first to get their perspectives, and make sure your franchise is well-established and highly rated. Most of all, be ready to work hard and give 100 percent! The brand is important, but the passion you bring to it is what ultimately determines your success. What are you most proud of when it comes to your career in franchising? Before purchasing the APA franchise, I had always envisioned starting a business where myself, my husband, and my parents could work together—a true “family owned and operated” venture. Since none of us had experience owning a business, and since all of us came from totally different professional backgrounds, the challenge was finding something that worked for all of us, something that could incorporate each of our strengths. The APA franchise was a perfect fit. My husband was a former golf professional and college athlete, so he was well versed in recreational sports and organization. My Dad, who was recently retired at the time, was just a natural “people-person” who loved pool—we knew he could sell the idea of “fun and pool” to our community members. I possessed the administrative and organizational background to keep us on track, especially as our business grew. We also planned to have children shortly after purchasing the franchise, so my Mom’s role became that of the all-important Grandma who helped us with the kids. During our first six years as APA franchisees, we had three children. To say we were busy would be a major understatement! Having the involvement of family and being able to accomplish all of this together has been a true blessing. I’m incredibly proud of working together with my family, so closely and so effectively, while sharing with them the experience of seeing our collective dream become a reality. Maybe one day our children will want to take over our franchise when we retire. It feels great to be able to offer them that option! What was your career path before you entered franchising? Before purchasing our APA franchise, I worked as an administrator in higher education, specifically and most recently as the Director of Academic Advising at UNLV. In my more than ten years at UNLV, I received many awards and achieved many accomplishments. I chaired the National Conference for Academic Advising and received Professional Staff Member of the Year. Despite that success, I always dreamed of being a business owner. 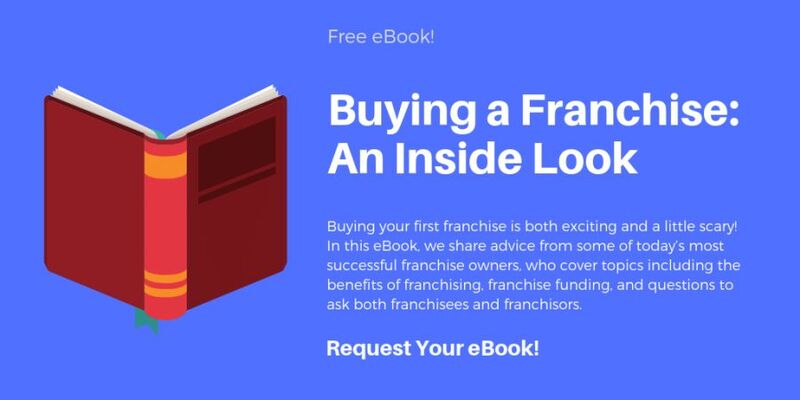 The idea of becoming a franchisee appealed to me because it combined the independence of business ownership with the support of an established franchise organization. Given that we were already members of the APA, we felt the career change was a perfect opportunity. As a business owner, what has been the biggest challenge you've had to overcome? Our initial success seemed to invite competition, which was the greatest challenge I faced initially. This was my first time owning a business, so I had no firsthand experience handling the sometimes “cut throat” nature of competitors. We always took the high road and tried to use the competition as motivation to improve our customer experience. The support from the franchisor during these first few years was absolutely imperative. My franchise consultant helped us stay focused on our brand promise and provided a feeling of stability and perspective, which was super important in those early years. What do you like most about your franchise organization? People are always surprised to hear that I’m not a great pool player. When I first bought the franchise, I wondered if this would be an obstacle I’d have to overcome. Just the opposite, I feel like my focus on the “fun” and “community building” of the League is so much more important than my capabilities (or lack thereof) on the pool table. This focus on fun is one of the very best aspects of the APA organization. One of our primary goals while recruiting new people into the Northern Nevada APA is making sure they understand that anyone—even beginners—can compete and win. Just as important, I want them to feel like part of an APA family, a community of friends that knows how to have fun over some light-hearted competition. Everyone likes to find meaning in their work, a higher purpose so to speak. In this franchise, my purpose is clear. I get to promote fun and create a social setting that brings together a lot of great people, many of whom become lifetime friends. My husband Seth and I are the perfect example. We met as friends playing on an APA pool team. What a dream to find ourselves, 11 years later, running our own APA franchise with our family at our side every step of way. Several couples have now met and married as a result of our APA League—talk about full circle! The APA and its network of franchisees helped my family achieve our dream.